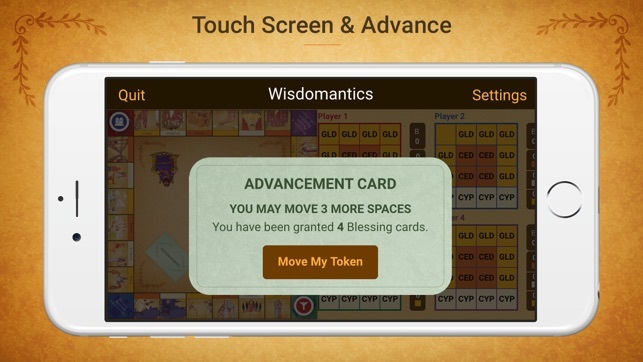 Wisdomantics – is a fun and interactive game for players who desire to gain the vast wisdom of King Solomon. 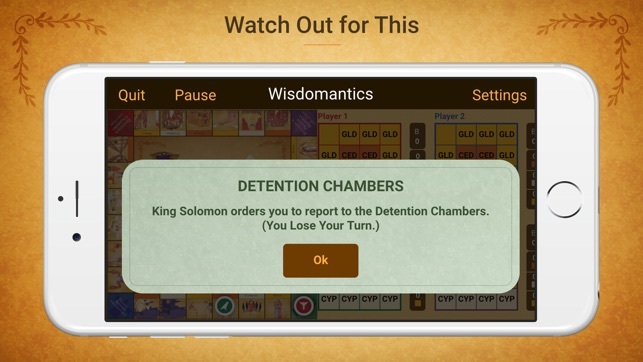 The game’s intent is to bring players together in a fun environment and impart them with wisdom from Solomon that they can then apply to their own lives. 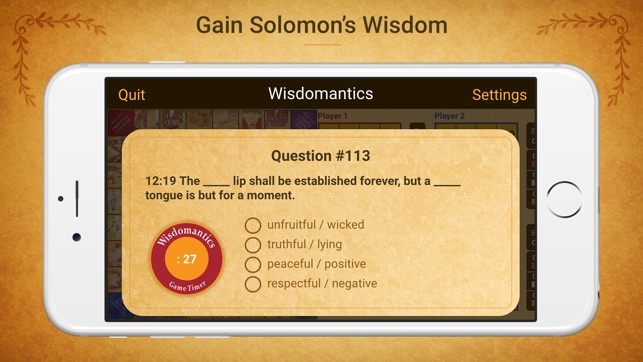 The 400 multiple choice questions were derived from the book of Proverbs in the Holy Bible. Players have the option of utilizing the NKJV and NIV translations. 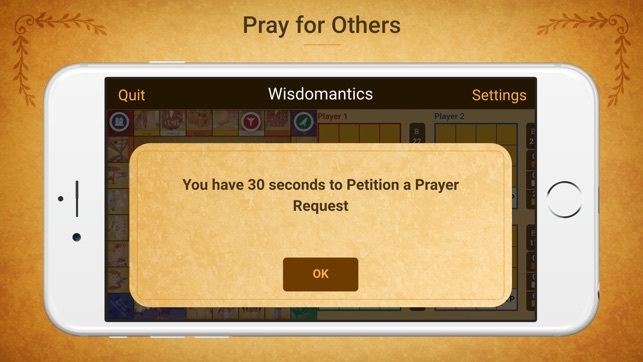 - Multiplayer mode – Play against 2-4 players anywhere in the world. - Universal gameplay – Allows play between multiple brands and devices. - Solo mode – Play against 1-3 bots. - Pass & Play mode – Play against 2-4 players in person and share one device. - The 400 multiple choice questions are actual scriptures taken from the book of Proverbs in the NKJV and NIV. - Track your achievements, and compare high scores on the leader boards through the Apple Game Center or Google Play respectively. 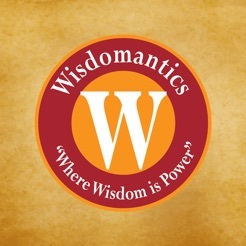 - Share the game via email, Facebook, Twitter, and chat. 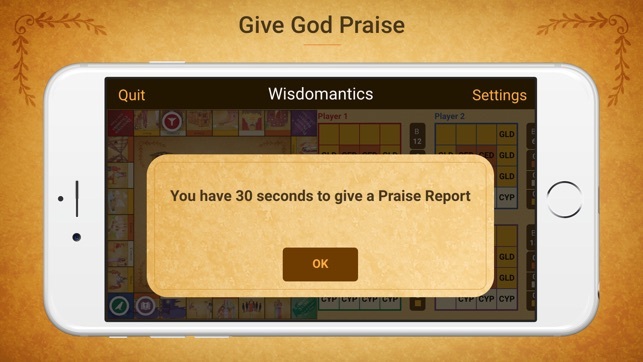 - Gaining biblical wisdom has never been so fun! I love this game. I thought I knew the Bible better than I apparently do. :) keeps you motivated and thinking. Змагайтеся з друзями та перевіряйте таблиці лідерів і досягнення.